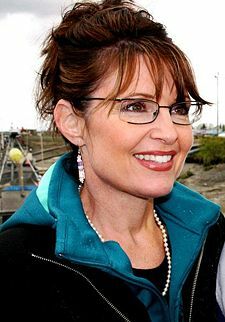 In case you haven't heard, some hackers hacked into Governor Sarah Palin's Yahoo email account. Some of the emails were posted to Wikileaks.org, a site that posts leaked information. Well, apparently the popularity of Sarah Palin must have brought down Wikileaks, since I can't get to their website. I'm guessing all the media coverage and pointing to the Wikileaks site must have overwhelmed their website with too much traffic. The Palin Phenomenon continues! Whether you love or hate Sarah, there is no doubt that she has changed the political landscape for this election cycle and perhaps forever. It's quite apparent that conservative women can now also make the national spotlight previously held only by moderate to liberal women (aka Democrats). Of course, if you're a conspiracy theorist then President George Bush, the CIA, or the FBI shut down Wikileaks.